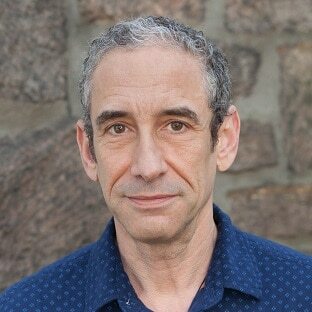 In this week’s episode Douglas Rushkoff speaks with Joanna about: building our connection in solidarity with one another; being human is a team sport; the roots of our alienation; every medium we use is as powerful as a drug; the survival of the most collaborative species; making a humane world; the submission of education to the market; the intrinsic value of being alive; restoring our dignity in a media landscape designed to manipulate our behavior; united we stand human; awe, the natural human state; taking a stand and finding the others. Named one of the “world’s ten most influential intellectuals” by MIT, Douglas Rushkoff is an author and documentarian who studies human autonomy in a digital age. His twenty books include the just-published “Team Human”, based on his podcast, as well as the best-sellers “Present Shock”, “Throwing Rocks at the Google Bus”, “Program or Be Programmed”, “Life Inc”, and “Media Virus”. He also made the PBS Frontline documentaries “Generation Like”, “The Persuaders” and “Merchants of Cool”. His book “Coercion” won the Marshall McLuhan Award, and the Media Ecology Association honored him with the first Neil Postman Award for Career Achievement in Public Intellectual Activity. Rushkoff’s work explores how different technological environments change our relationship to narrative, money, power, and one another. He coined such concepts as “viral media”, “screenagers”, and “social currency”, and has been a leading voice for applying digital media toward social and economic justice.